You might have heard, if you live on this planet, that Tom Brady of the New England Patriots was found guilty of cheating because his people deflated footballs before the AFC Championship Game with the Indianapolis Colts. 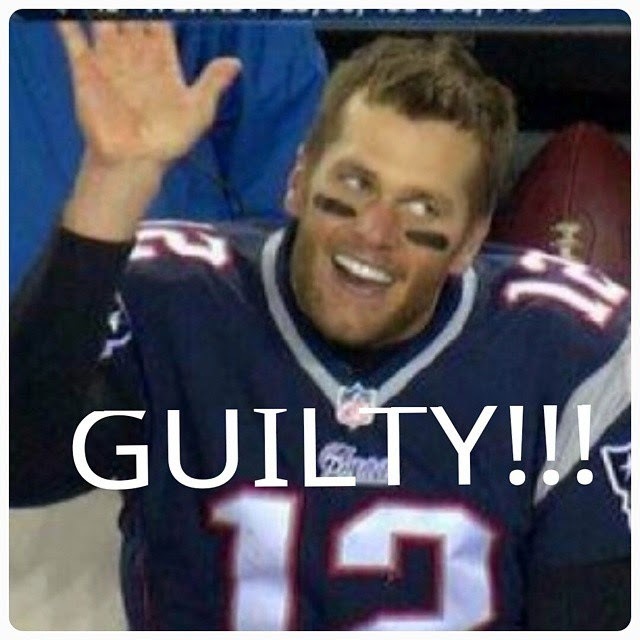 So, we have serial cheaters here in the Pats and Tom Brady. In the latest Deflategate scandal, Brady was hit with the truly harsh penalty of having to miss a quarter of the season--four games--without pay, which he will presumably spend with his supermodel wife. After that, he will go back to being a quarterback and continue making millions. How will he ever manage to recover? Why bring this up? I think it's noteworthy to compare it to another cheating scandal--the one in Atlanta. In 2013, 35 educators in Atlanta were accused of cheating on a high stakes test by getting together and changing student answers in order to inflate scores. Let's call it Inflategate. There are many similarities between these cases. Brady conspired with his equipment people to violate the rules, while Atlanta teachers conspired to increase test scores. Brady refused to cooperate with investigators and claimed to be innocent, and twelve Atlanta teachers refused to accept plea deals. All of them presumably did their misdeeds in order to gain an unfair advantage. 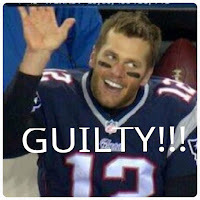 So it's safe to assume that the Atlanta teachers got a penalty at least somewhat similar to Brady, right? A fine, and a suspension for a quarter of a school year without pay so they could spend time with their supermodel spouses? Well, no. These are teachers. Teachers are not held in the high esteem that Tom Brady is. Teachers have the meaningless task of educating our children, while Tom Brady has the highest calling one can have--throwing pigskin with accuracy. So the judge in the Atlanta case hit three of the educators with the harshest penalties he could. Found guilty of racketeering, he sentenced them to twenty years in prison of which they would serve seven, 2000 hours of community service, and a $25,000 fine. But never fear--the judge had a change of heart and decided that these educators would only have to serve three years in prison. Both of these cases featured people who conspired to cheat--one with balls and one with bubbles. Yet the outcomes could not have been more different. So what lesson can we learn here? If you're going to cheat, it helps a lot to be rich. Brady got a slap on the wrist, while the guys who did the deflating have already been put out of work, although they've not been put in jail. The Atlanta teachers had several other strikes against them. First, they were mostly black. Second, they were predominantly female. Most damning of all, of course, is that they were teachers, and it has been open season on teachers for quite some time now. I don't condone what the educators in Atlanta did. Not at all. But whatever monetary gain they received or job security they obtained pales in comparison to what Brady and the Cheatriots got--namely a Superbowl win and all the financial benefits that accrue from that. Cheating pays if you're rich. Just ask Tom Brady, or Alex Rodriguez. While you're at it, ask all the bankers who benefited from bringing this country to its knees financially while the poor and middle class suffered from a recession and unemployment. How many of you teachers out there lost a bundle when Wall Street tanked the economy? You know how many of those rich bastards went to jail for selling what they knew were junk securities? If you're rich, you can conspire to deflate footballs--no problem. Ditto if you're rich and deflate the economy--they'll just take taxpayer money to bail you out. Inflate some scores? It's a long stretch in the pokey for you. EDIT AND UPDATE: In perhaps the stupidest thing I have read in a LONG time, it seems that an apparently mentally unstable Pats fan as started a GoFundMe page to help the Pats pay that whopping $1 millon fine. This is great news, as Pats owner Robert Kraft only has an estimated fortune of 4.3 BILLION dollars. Hey, stupid Pats fan, this is why the country is going to hell in a hand basket. You're trying to bail out a man who could pay a million dollar fine EVERY DAY for the next 11.78 years before he went broke. He would likely not start a GoFundMe page to hire someone to spit on you if your hair was on fire.